Global 6 Sigma offers Six Sigma Certification and Training courses in: White Belt, Yellow Belt, Green Belt, Black Belt and Master Black Belt. We also offer Certification and Training courses in Zurich, Switzerland: Lean Six Sigma, Design for Six Sigma, Green Process Management and Minitab. Zurich is one of the most competitive business economies of the world and Switzerland’s strongest regional economy as well. After the financial crisis of 2008-9, the country has recovered majorly and is holding out strongly against the Eurozone crisis. The current statistics predict a full economic recovery for Zurich in 2015 and the unemployment rates still remain staggeringly low. The current average sits around 3 percent of all individuals that are unemployed; this figure is astonishingly low and many benefits can be availed from the business environment of Zurich that can help you in your professional career. While most executives who look to work in Zurich are hired through headhunters, the booming industry still holds a lot of opportunities for any candidate with an impressive resume. 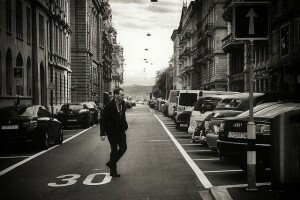 Numerous foreign chambers of commerce present in Switzerland and specifically Zurich can be a great place to start looking for a job in a reputed organization. Businesses that spread out on a large scale have standardized recruitment processes that suggest how qualified each applying candidate is comparatively to the level of expertise required for a job. In such a market, it is important for every individual to have a set of skills that can potentially set them apart from the rest of the crowd. The real task isn’t only getting the job; it is the ability of holding the position effectively and being able to create a certain amount of influence within the workplace. Lean Six Sigma yellow belt is not just a training course, it is an entire doctrine that can be applied as a methodology to the business processes of any organization in order to enhance the performance, reduce the costs and finish the project within its designated time. Let us briefly explain what you really stand to learn from the Lean Six Sigma yellow belt Certification. This can be defined as one of the tools or procedures that are used in the Lean Six Sigma yellow belt training ideology and helps improve, optimize and stabilize the business process in question. This abbreviation of Define, Measure, Analyze, Improve and Control takes all the steps of a successful business process into serious consideration. Define signifies the accurate articulation and identification of the problem that needs to be fixed. The targets and restrictions that come along with the project are taken into consideration here comprehensively, so that the plan of action can be clearly defined. This step requires you to collect data effectively and use the accumulated data to determine and ascertain the current position of the project, as well as the anticipated progress. It clearly defines all the baselines that are present and the amount of work and efforts that are required to reach the predefined targets. This step deals with the process of eliminating any element and clearly determining why that particular element is not required within the business procedure. The next step entails proper usage of cutting edge brainstorming techniques so that the individual can find effective solutions to any issues and define a clear plan that can be implemented to overcome the issue. Once you have completed all the previous steps, you will be required to observe them diligently and ensure that success is achieved in the most effective manner. This sums up the DMAIC process which you will be learning in-depth during you Lean six sigma yellow belt training. 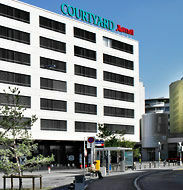 TOP-LOCATED ZURICH HOTEL. The international chain hotel Courtyard by Marriott Zurich North is conveniently located 10 minutes from Zurich Airport, 7 minutes from Zurich downtown and just a 3-minute walk from Zurich Oerlikon station. Many companies, Hallenstadion and the fairground are within walking distance. Whether you are traveling to Zurich on business or for leisure, the hotel offers the perfect accommodation with 152 spacious and comfortable hotel rooms and free Essential Internet to all of our guests. With 590 sqm of meeting- and conference space and the latest event-technology. The Zurich hotel provides ideal requirements for successful seminars, banquets, meetings and social events in Zurich. The business center and the fully equipped gym are at your disposal and the 24/7 Grab'n Go Market offers a variety of food and beverages. The max - restaurant, bar & lounge with its summer terrace serves international dishes, snacks and drinks for every taste.